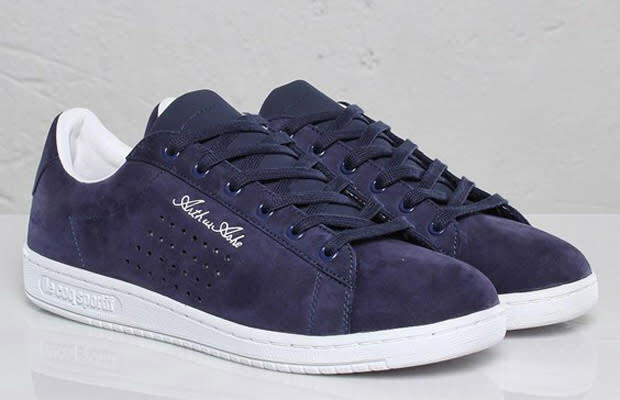 French athletic company Le Coq Sportif honors tennis legend Arthur Ashe by remixing his famed 1970&apos;s pro model. The new Le Coq Sportif Arthur Ashe pack borrows from its predecessor the original lines and simple styling, and updates it by slimming the midsole and switching the materials from leather to smooth nubuck. Coming in six all-new colorways ( we would have loved to see Arthur in the yellow joints) the Le Coq Sportif Arthur Ashe Pack is available now at select Le Coq Sportif dealers like Sneakersnstuff. Give us a U.S. release already!